Check out our 6 shopping secrets. The ONLY place to get your mattress, HANDS DOWN !!! They have anything you can think of, and MORE. These people that work here are very kind and HELPFUL, and assist in anyway they can. As for pricing:Great deals! Selection:Let’s just say, I never heard of most of these other brands, and quite frankly, they are better then the brands we are use to seeing, but guess what they HAVE them also…CHEAPER! Overall, this is one of the best and quickest mattress transactions I have ever had, and hopefully they will be around when I need, if I ever need a mattress set again. 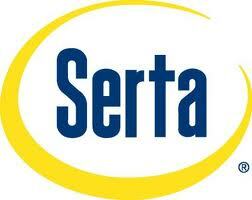 I went matress shopping for about 3 months of searching by websites and stores doing enough research to finally find a company I could trust in making a matress and it was Serta. The difficulty I had was finding a store that would give me what I was looking for with excellent service and price. I was refered to Matress Market from a friend I knew at work . He mentioned that it was within my neigborhood. I went there and was surprised on the pricing and variety. Glenn gave me a deal better without any sales pitch. The service was Immediate!!! There was no wait needed to get the matress i wanted. The matress Market is half the price of the competitor with the benifit of the exact same quality, warranty supported by the manufacturer. I’m extremely satisfied with the people there. Just to let anybody know I work for a retailer for more than 10 years and I know the tricks. This place has great customer relations and it is all done by word of mouth. They may not show that much on their website but, it is well worth it to stop by their place and look for yourself. Really liked what you had to say in your post, Mattress Market, thanks for the good read! Thank you for your Easter flyer! It is wonderful to know that there are retailers who are not afraid to express their faith! God bless you! I’ll never shop anywhere else for a mattress again! No high pressure sales pitch. Glenn just asked me what I needed, explained my options and gave me the best deal. I would definitely recommend going with the upgraded steel box spring. I bought my mattress from Glenn several years ago and it’s still in great shape. He gave me a great deal on a quality mattress. Glen sure took the stress out of our mattress shopping. It was our first stop, didn’t even bother going anywhere else. i will try to keep this as short as possible…lol…there is NO other place to buy a mattress!!! MattressMarket has the best prices hands down! their prices (as well as a half dozen department stores) had prices for what i was looking for in the $800 range, but the 2 at MattressMarket that felt exactly as good as the more expensive ones that i had narrowed my short list down to, were $330 and $540. Money is very tight at the moment, so i bought the $330 one but would probably have gotten the $540 one if i could have afforded the little extra, and i didnt want to wait longer to replace my ancient one. Would not go anywhere else. I was on a tight budget and Glen helped me find something I could afford. Not one ounce of upselling. They are the best. Just bought a mattress and box spring for our daughter. Glenn explained our options and was very thorough. It was a very positive, non pressured experience. I am glad we stumbled on Mattress Market on the web. We definitely recommend them and will go back when it is time for us to get a new bed. Others have said it, you don’t need to shop anywhere else! Great prices, personal friendly service and awesome products. We bought our mattress here over a year ago and we love it! It was a brand we had not heard of before, but I’m so glad we listened to Glenn and bought it. It is my favorite and I can truly say that after a year of use! Don’t be swayed by the expensive glossy ads in your newspaper, that’s why your mattress costs so much! Thanks for the great deal on a terrific mattress! BTW, – I have never been treated more politely by any store I have done business with. I am telling all my friends about you. Again Thanks! Glenn is awesome. No pressure to purchase anything without trying everything and giving you all of the available information. He honestly has the best prices and definitely makes you want to come back and refer friends. Congrats on winning Best of Bucks 2015. This place is wonderful! I was there this weekend so I worked with Fred. I did all my research online and then started the hunt. It was the second place I stopped and my hunt was over. Not only were they knowledgeable but the prices are excellent. Not much to look at when you pull up, BUT don’t let that fool you at all! We bought 2 twin mattresses for my daughter. You would be crazy to go anywhere else to buy a mattress and pay higher prices. Thank you so much for making my mattress journey easy! We shopped at many mattress stores and this was the best experience, no nonsense, great prices without any pressure. Thank you for our future good nights of sleep. We will be back and will refer. Highly recommended by a very satisfied couple. My story starts at a well known outlet store where furniture is ‘dumped”. The mattress we bought there was terrible and within 3 months I was trying for a refund/exchange. No luck, lesson learned, I will never go back to them. Cue Glenn and Mattress Market ( right in my hometown!) I should have gone here first! Glenn listened to my story, commiserated, and proceeded to show me around. I said let me get the wife and come back. We couldn’t get back until today and my back has been killing me. When I came home from work we went over to look at beds. Glenn gave us a super deal and said he would call about delivery. We weren’t even at the first traffic light when he called to say it would be delivered tonight. My new bed was in place by 7 PM tonight! ( OK, we live close) It’s about 9:30 and I am so looking forward to going to sleep! Thank you Glenn and your delivery guys! If you are shopping for a mattress you can’t go wrong, stop by and see Glenn. FIRST! We just bought our third mattress at Mattress Market (a twin, twin XL, and now a king). We shop around and keep coming to the same conclusion. We are better off at Mattress Market. Now the whole family sleeps comfortably. I was pleased we could also get a great mattress protector as well. Thank you guys. We will be back when our third graduates from her toddler bed. You are always consistent, knowledgeable, and reliable with a great selection to meet our needs. I just realized the King was our fourth! I forgot about the Queen. Your prices are so good that when we had to repurpose our spare room we gifted it to a friend. Your prices allowed us to be generous. Thanks again. Recommending you to another friend tonight. I was extremely pleased with the customer service from Glenn and Zack! They listened and I ended up with a wonderful twin mattress at a huge discounted price! Extremely excellent quality. He is the only one in the area that carries the type of mattress you can turn over to get even wear. He explained exactly how to get the most of my mattress and how to keep it in great shape. This is rare,as most of the time you get sold a bill of goods,that you almost feel like your buying disposable furniture. He however wants you to get the most of your money. He also gave excellent advice to my grown daughter and her husband for their first king set in the future. Don’t mess around going anywhere else! This is a true for the customer business! Cheri ! Excellent selection of mattresses box springs and frames!! Super knowledgeable and the prices cannot be beat!!! I will not shop anywhere else!